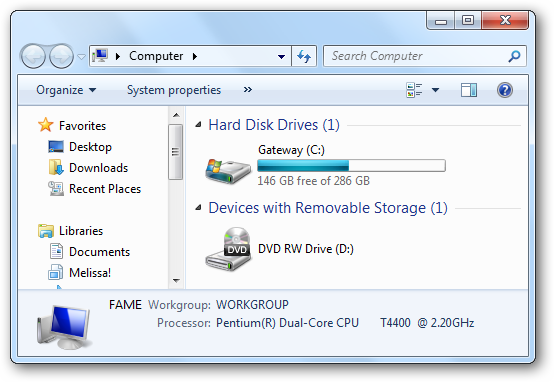 When Windows 7 is installed on a computer, certain files and folders are kept hidden from sight. They can still be accessed, updated and used, but you cannot easily find them. This prevents you from deleting or moving a folder or file that needs to be where it is at. If you delete a hidden folder or file, it could hold crucial information that Windows 7 or your software needs to function. Without it, you render your operating system or applications useless. 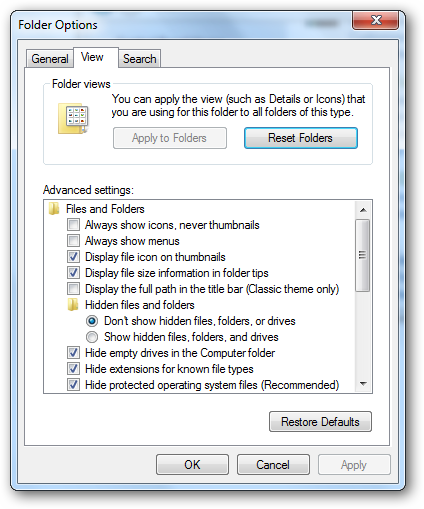 Knowing how to change the settings for hidden folders and files is a great tool for troubleshooting and other issues that might crop up in Windows 7. Then, click on the “Control Panel” link. From here, you want to click on the “Appearance and Personalization” header. This is where the folder settings are that we need to get to in order to show hidden files and folders. Once in the Appearance and Personalization, you want to scroll down until you locate the “Folder Options” header. Click on the “Show hidden files and folders” link under the Folder Options category. This will automatically open the tab we need, “View”, in the Folder Options menu. This is where you can change just about anything you can think of with regards to the folders and files on your computer. You want to locate the sub-header “Hidden files and folders.” From here, you want to check the button next to “Show hidden files, folders and drives.” Once you have done that, you want to click “Apply.” Then, click “Ok” to exit the Folder Options menu. You can now close out the rest of the windows you opened. Any hidden files, folders or drives on your computer will not be visible to you. 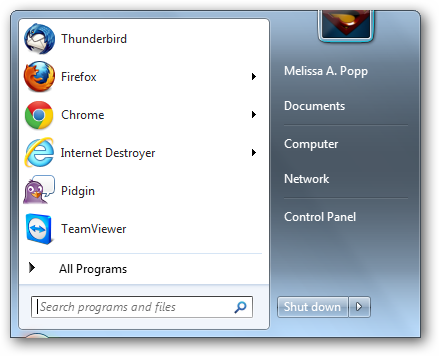 If you have never seen hidden files or folders on your system, click on “My Computer.” This is usually located on your desktop, but you may have to poke around in the “Start Menu” to find it depending on your set-up. Once open, click on your “C:” or primary drive. You are now looking at the important folders on your computer’s hard drive. Some of them will be the way they always look and others will be faded. The faded folders are ones that were previously hidden. This faded folder indicates that to you so you know to proceed with caution when diving into one. Click on the “Users” folder. This is where every user that has an account on the computer will be shown. These folders hold settings details, program data and other information saved when they are logged onto their account. 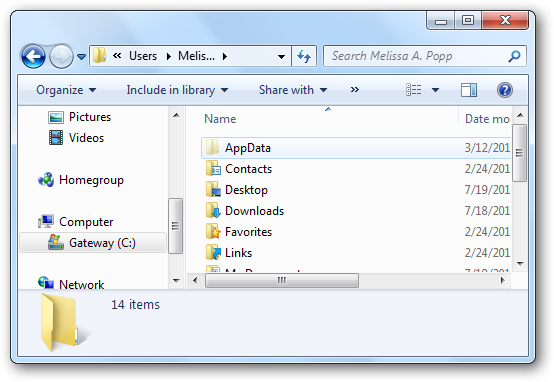 If you click on your primary account folder, in this case for me it is the “Melissa A. Popp” folder, you will find the very first folder is a normally hidden one titled “AppData.” This is where all the information programs store is held. This includes settings, add-ons, updates and more. If you ever are looking to backup program data, this is where you go to do it. 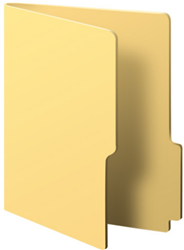 The reason these folders are hidden from plain sight is because if you delete the data here, you will have to start from scratch customizing, updating and tweaking the programs you use every day. Whenever you choose to display hidden folders, files and drives, you want to proceed with caution. 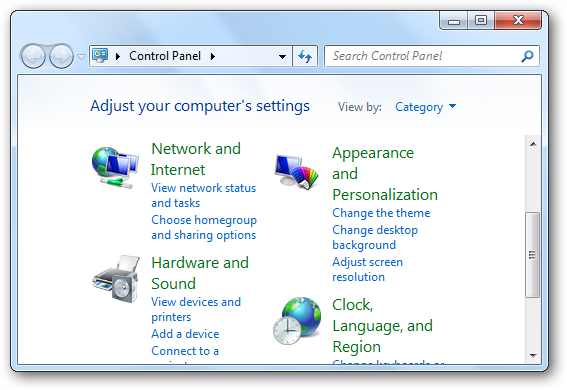 There is a reason why this option exists in Windows 7 and other versions of the operating system. 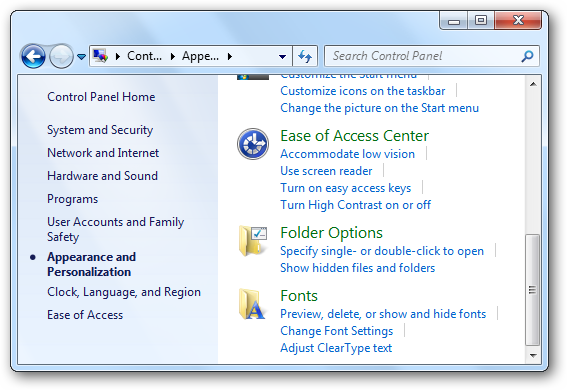 Anything hidden on your system installed by Windows or the programs you put on your computer are necessary for them to function. If you start tinkering around in these folders, you may make programs inoperable or even have to restore your operating system. When you choose to show these folders and files, make sure you know exactly what steps to take, do not modify or delete files without making backups and take your time going through what you need to do. Conclusion – Why unhide files and folders? There are certain situations that require a computer user to poke around in the hidden folders and files on their computers. If you use any program that utilizes profile data, you may need to backup and then import that data into a new profile if something happens to your software. 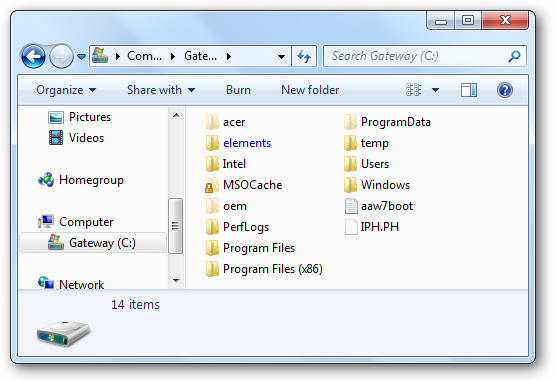 Application data is one of the things stored in hidden folders. This is to prevent you from accidentally deleting it and being frustrated you lost all the information it holds. 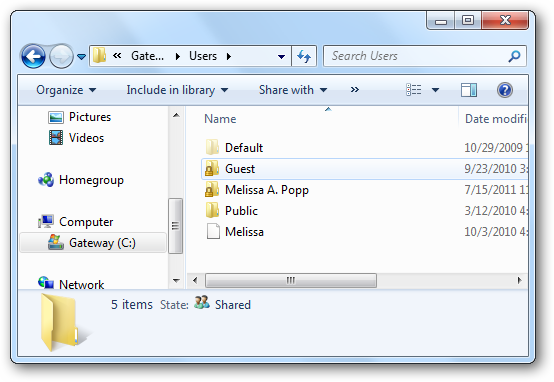 By knowing how to unhide files and folders, you can save yourself a lot of grief by being able to access areas of your computer when necessary. Windows 7 makes it easy to show hidden files and folders, you just have to be careful what you do with them once you can see them with your own eyes. Whenever you need access to hidden files and folders, make sure to set a System Restore point for Windows 7. From there, follow step by step guidelines on what you need to do in those hidden folders or files. If you make a mistake, take a deep breath and use your System Restore point to bring Windows 7 back to where you need it to be. Remember to hide your folders and files again when you are done tweaking them to keep your system safe from accidental harm.